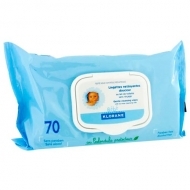 Calms skin irritations and redness. 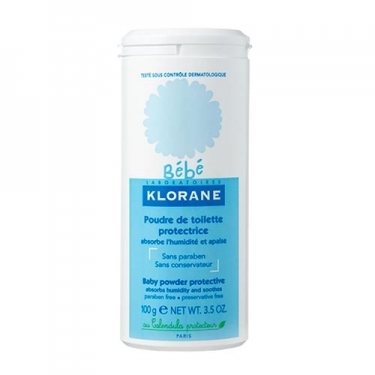 DESCRIPTION: Poudre de Toilette Protectrice from Klorane is a protective talcum powder that insulates and softens the baby's skin, absorbs moisture from the folds and prevents the small redness characteristic of the diaper area. It is especially recommended in the summer as it helps to fight the small blisters caused by heat and prevents the skin from the irritating effects of perspiration. No parabens. Hypoallergenic. Tested under pediatric control. Avoid contact with nose, mouth and eyes.